Government officials tout federal opportunity zones as a method to draw investors into neighborhoods that see little investment. So far, most investors have stuck to buying properties in the zones that were already attracting dollars. But Chicago-based multifamily brokerage firm Kiser Group believes it has an offering that will draw potential buyers to Englewood, one of the poorest neighborhoods in the city. 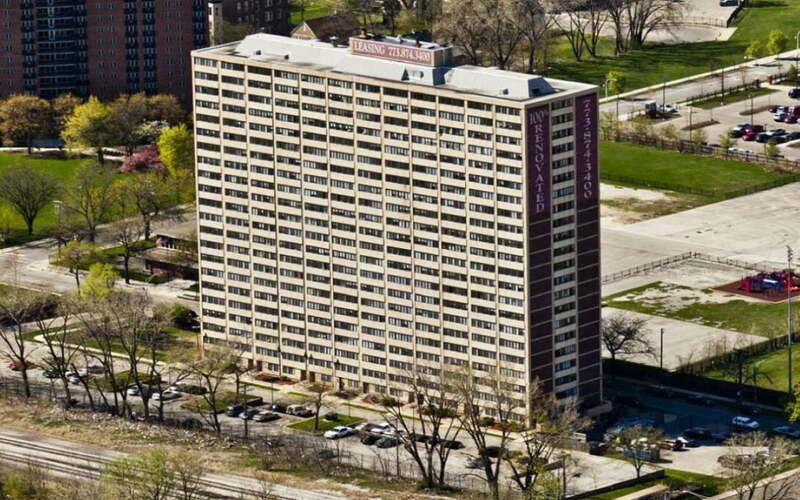 New Englewood Terrace Apartments, a 304-unit, 23-story building at 6425 South Lowe St., has been put on the market for $20.7M. Kiser Group’s Noah Birk and Aaron Sklar represent the owner and say the property makes a great value-add investment, and is one of the few prospects of such scale in an opportunity zone. “We are anticipating national investor interest, particularly from opportunity zone funds, for this value-add opportunity,” Birk said. Under the Tax Cuts and Jobs Act of 2017, which created opportunity zones, investors can eliminate capital gains taxes if they improve a property and hold it for 10 years. New Englewood Terrace Apartments has 60 one-bedroom units, 124 two-bedroom units, 80 three-bedroom units, 17 two-bedroom townhomes and six three-bedroom townhomes. The property was built in 1967 and renovated in 2010. The stabilized asset features rents from $625 to $1,050 per month. A buyer would not necessarily have to be a pioneer, as this corner of the community has already attracted national businesses to Englewood Square, a $20M, 5.5-acre real estate development with high-quality retail and services. Aarti Kotak, the city’s deputy chief of staff for economic development, told Bisnow earlier this year that city officials designated this neighborhood an opportunity zone because it had new retail, and investors could build on that success. “New Englewood Terrace is within walking distance of Whole Foods, Starbucks, Chipotle, Kennedy King College and the CTA Green and Red lines,” Sklar said.